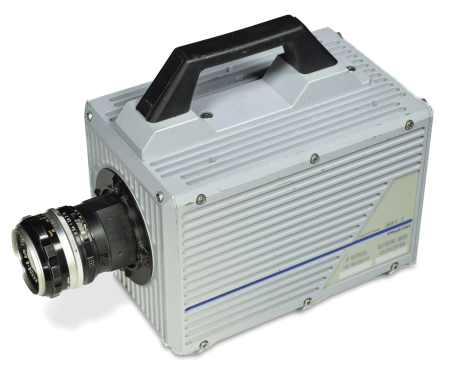 For a number of years, the Photron SA1.1 colour camera has provided ultra-high speed images with superb light sensitivity. It has been extremely busy since its release covering many high speed applications from major wildlife programmes to filming bullets at 50000 fps. It can ably supplement the Photron SA-X2 cameras on multi camera shoots especially for ballistics and munitions. It is the main option for industrial applications where colour images are required. 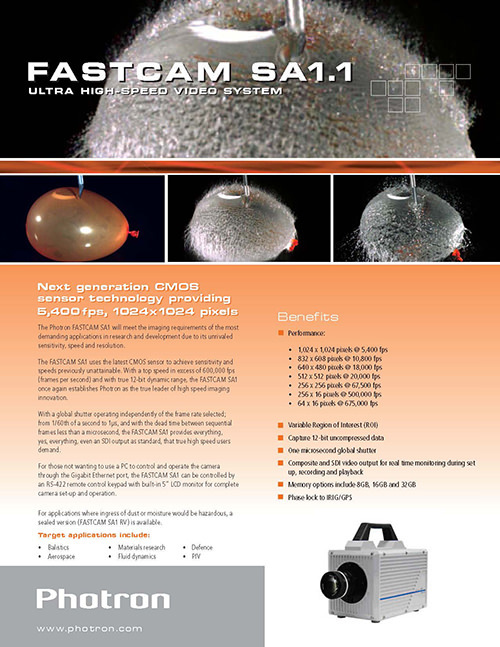 It has covered many outdoor drop test trials. Capable of 5400 fps at 1024 x 1024 resolution (10000 fps at 1024 x 576), the CMOS sensor provides true twelve bit pixel depth and has maximum frame rate of 675kfps.